We have persevered with the development of the Tongariro River Trail. We have spoken with Turangitukua and have sought their support. We are awaiting their decision. We decided to complete the section linking Turangi to the Red Hut bridge. We have received a grant of $50,000 from Taupo District Council and the Turangi Tongariro Community Board, to scope the whole trail. 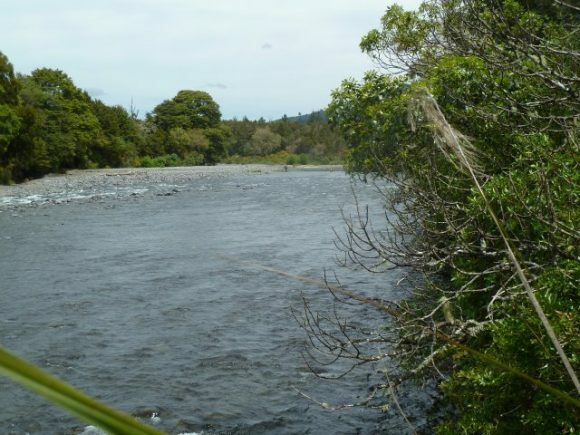 We require $70,000 to develop the Turangi to Red Hut section. 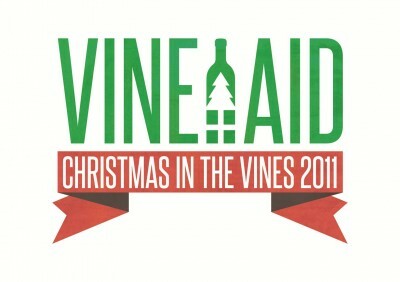 I am pleased to announce that we are being supported by the Christmas in the Vines event on 18th December. Live Music and Entertainment, BBQ, Spit Roast, Bring and Buy Sale, Father Christmas, Bouncy Castle, Candy Floss, Pop Corn and Everything Christmas! 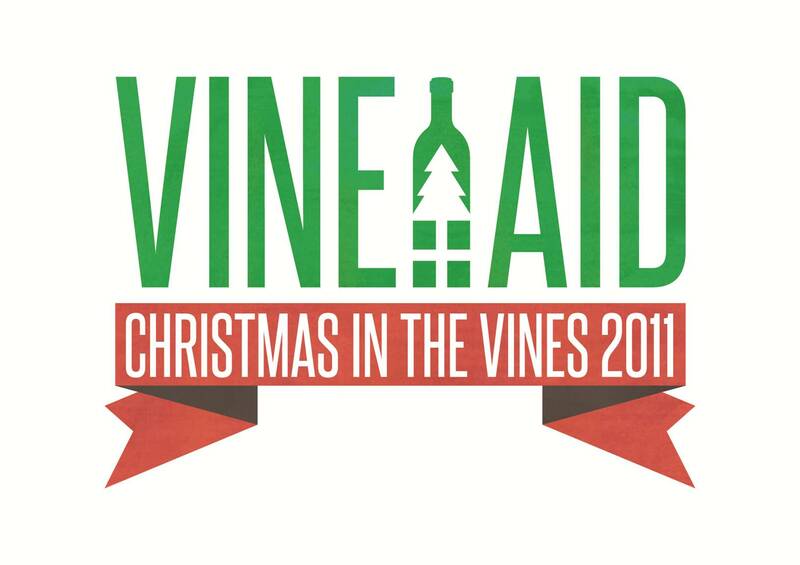 A none profit charity event organised by the Vine Aid Charitable Trust with all profits being split between three local community groups. There is no evidence that work has started on the next section of willow removal from the Reed Pool to DeLatours Pool though I checked the area on Tuesday afternoon. In Update #24 I wrote of the work by Graeme Smart. 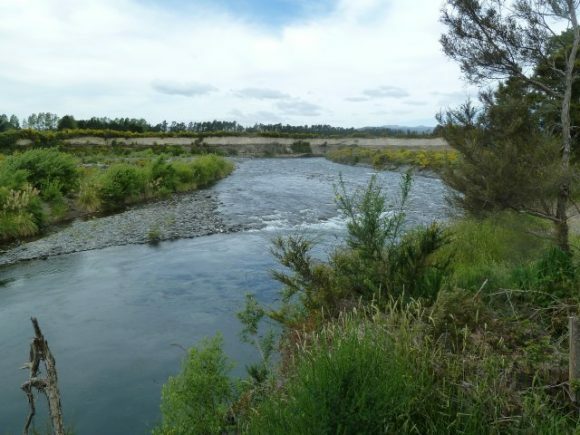 The Journal of Hydro;ogy New Zealand, Vol 50 Number 1, June 2011 is a special issue: Sediment Flux, morphology and river management. The article pages 161 – 179 Conceptualization of sediment flux in the Tongariro Catchment , Gary J Brierly, Helen E Reid and Stepen E Coleman. The authors are staff at Auckland University, Brierly and Reid from the School of Environment and Coleman from the Department of Civil and Environmental Engineering. What am I to make of this article and the article by Graeme Smart? My observations of what is happening in the river is not supported by scientific study. But in 30 years I have noted the braiding that saw the loss of the Breakaway Pool, the huge build up of gravels at the tail of the Millrace, the development of Deep Creek into a significant outlet in times of flood, the closur of the Blind mouth, the closure of the Hook, the reduction of the First Mouth to a trickle. But I would agree that the river is mainly in the same channel since the 1930’s. I am interested in the statement ” The increase in the frequency of high water levels in Lake Taupo causes a backwater effect, reported to extend 3 km upstream of the delta” given our submission on the erosion stategy around Lake Taupo not being accepted. The Tongariro is not being ignored as these papers show. They raise a lot of questions. I observed anglers fishing without competition and anglers still catching fish but generally it is quiet as this photo looking up stream from the Admirals pool. As I wrie it is drizzling outside yet again and I have the fire going. Its still spring with winter still having an influence. and upstream to the Kamahi pool shows. An reminder that it is the Round Taupo cycle ride involving 10,000 riders and that it is Election Day Saturday. I advise that there will be no Thursday Update next week.